← Interdisciplinary education: a wave of the future? How can we enable students to make meaningful connections between natural and engineering sciences and humanities and social sciences? How can we support graduates who want to create bridges between business, science, technology and society? How can we create an environment where these worlds can meet, and what are the obstacles that often stand in our way? In his keynote “Hyper-specialisation has run its course” professor Robert Erdman, senior scientist at the Rijksmuseum and Professor of Conservation Science at the University of Amsterdam, shared his experience on his interdisciplinary work to help the world access, preserve and understand its cultural heritage. In a fascinating speech with great visualisation and data processing techniques, he showed how he had developed from a hyper-specialist in material sciences, where he simulated microscopic flows through porous media and experiments on micro-gravity metal solidification performed on the International Space Station, to an interdisciplinary scientist, who combines materials sciences with imaging, radiation, chemistry, filament winding technology and computational techniques, to art objects. 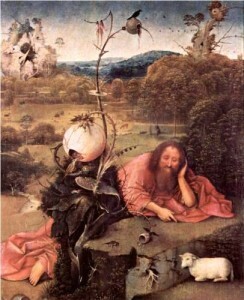 He established a highly interdisciplinary research team that studies the oeuvre of Hieronymous Bosch. His team involves art historians, a technical art historian, a conservator, a photographer, and him as a materials scientist. He presented how the team had developed at least 20 new technologies for processing very high-resolution images, fusing images in different wavelengths from different kinds of cameras together, and constructing interactive visualizations to aid in making comparisons, all drawn from his past work in different fields. 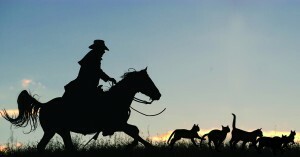 When everybody stays within his or her own discipline, working in an interdisciplinary team is like herding cats. At conferences you always have to choose which sessions to attend, and consequently I have only got a limited overview of the day. It struck me that teaching interdisciplinarity is all about another mindset: Changing students from being a consumer to a co-producer, from acquiring knowledge to creating a mindset, from specialism to contextualisation, from science to science and society. Learning to work in diverse teams with “Hipsters, Hackers and Hustlers.” Always connecting sciences and society. To solve real-life problems, students in interdisciplinary teams have to establish their individual learning path on their own, balancing between the challenge domain and solution space, and between theory and practice. One workshop demonstrated how teachers challenged the students in learning agility and resilience. Four weeks after the intense start of their 20-week project, about 40 % of the students of each team were enforced to swap to other teams without giving prior notice. a boot camp “Study Crafting” in the first week of the study programme to create a sense of belonging and teach the generic core content such as scientific integrity and research methods and other common stuff. Students use the Socrative app for answering questions about understanding personal motivation and career prospects, and marking of levels of competences they already think they have. These competences are identical to the Final Qualifications of the study programme, but students are not made aware of that until completion of the assessment. a module “Envisioning your Future” after a couple of months, in which alumni give 10-minute speeches and have speed dates in round-table sessions with students for about 20 minutes. a webinar “Off you go”, where students learn, by watching video clips and face-to-face discussions, about personality, personal ambitions, interests, career prospects, different professional roles, career services, self-responsiblity, and what is needed to make success happen. The new book Designing Interdisciplinary Education serves as a foothold for interdisciplinary initiatives in higher education, whether it be programmes, minors, courses or extracurriular activities. 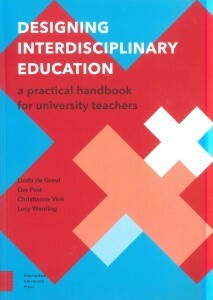 Available from Amsterdam University Press www.aup.nl. Also the HKU University of Arts Utrecht supports the students in customising their Master programme. The programme offers the students many choices to collaborate with talented fellow students from other disciplines and backgrounds, to create links between creativity, technology, entrepreneurship and connect to the contexts of health, smart living, circular economy, etc. Because student numbers are relatively low, they are able to apply a personal approach and search for a best fit between each student and coach for the full duration of their Master study (www.hku.nl/crossovercreativity). I wondered how I would be able to transform these insights for the benefit of my students? Also they have sometimes difficulty in tailoring, planning and controlling their study programme. And since we explore ways to increase freedom and choice in our future Master’s, the need for guidance will increase. In the 12 workshops of the conference, universities of Amsterdam, Delft, Leiden, Leuven, Maastricht, Tilburg, Twente, Utrecht, Wageningen demonstrated and discussed many experiments and pilots in relation to interdisciplinary education: How to develop adaptive skills? How to integrate different backgrounds? How to contextualise academic knowledge? What are the pros and cons of team teaching? How to assess interdisciplinary competences? How to get students in engineering and natural sciences interested in subjects from the humanities and social sciences? I heard interesting ideas, concepts and experiments. Many try-outs in interdisciplinary education take place on a relatively small scale of minors, honours programmes, courses or projects with typically 25 students and a limited number of staff. They all require a strong training for open-mindedness. The scaling up of these experiments to a full-blown practice of cohorts in the programmes that I am responsible for, with typically 400 engineering students and dozens of discipline-specific staff, would still be a big challenge. And I wonder if more traditional universities, like my home university, will be able to transform in not too a distant future, and teach interdisciplinarity without being highly interdisciplinary themselves. The heterogeneous perspectives of the students and colleagues from different faculties offer rich opportunities. But the many different faculty- and discipline-specific habits, rules and regulations that are all born in the fifties or earlier, will take lots of energy and time to make change happen. The best breeding places for interdisciplinary education at TU Delft are the hubs I addressed in my previous post about interdisciplinarity. The concluding panel session addressed the challenges about team teaching by staff from different academic tribes and the cost-to-benefit ratio because interdisciplinary teaching usually demands more intensive guidance and control of students and staff. The panel expressed the wish to get a better grasp of interdisciplinary education, to make it more evidence based, by stimulating action research (self-reflective enquiry undertaken by participants to improve the rationality and justice of own practice and their understanding of these practices). But it is unfortunate that most of today’s grants are allocated to field-specific disciplines. This applies to engineering sciences research as well as engineering education research. PhD procedures, high-ranked awards or peer-reviewed journals are hardly available yet for interdisciplinary fields. Also here we need to make a paradigm shift happen. The majority of the conference participants expressed the wish to develop and produce dedicated (elective) modules about Interdisciplinary Teaching as part of the University Teaching Qualification training in the Netherlands. Opening the instructor’s mind for interdisciplinary learning should form be an important part of such module. look for ways to strengthen the connection between mathematics and physics with engineering. The second National Interdisciplinary Education Conference will be held in 2018 at the Eindhoven University of Technology. Where you and I can deliberate further about questions what the most essential aspects of interdisciplinary education are, and what developments will affect the future of interdisciplinary education most. The 4TU.Centre for Engineering Education will be the host of this event, for details of the conference click here. This entry was posted in Continuous professionalisation, Innovative teaching and tagged CEE, interdisciplinary, multidisciplinary. Bookmark the permalink.